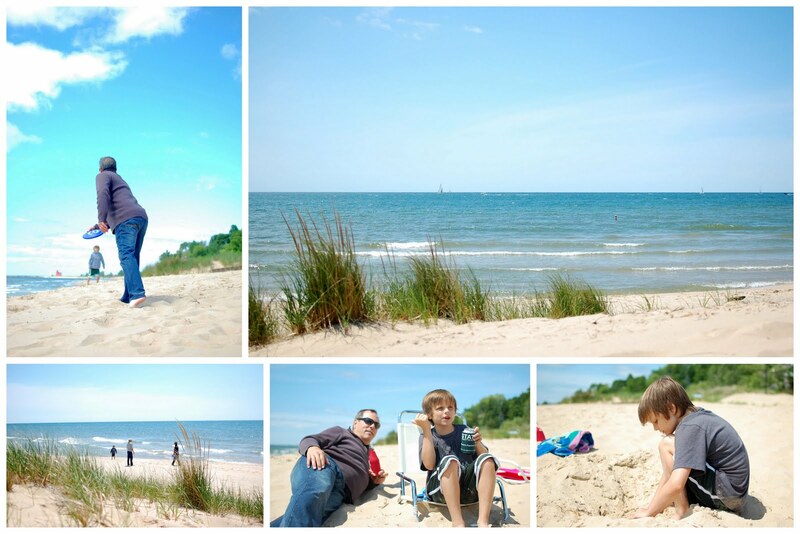 Back in June I spent a week on vacation with my family at a cottage on Lake Michigan. We rented the cottage using ﻿VRBO. Have you ever used VRBO (vacation rentals by owner)? It's amazing what you can find. We first used it to rent a condo for our vacation to St. Thomas in 2010. I was amazed at how many of you have connections to Michigan. Thank you for all of your questions and comments about Michigan. I know I wasn't able to respond to all of your questions, so hopefully this post will answer them! The cottage we rented was in Holland, MI. 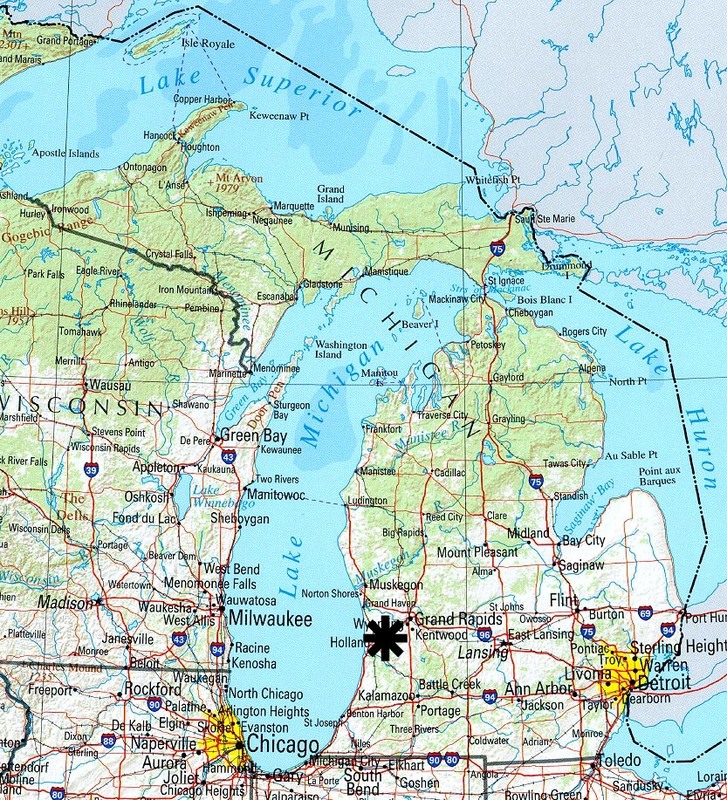 Holland is about a 40 minute drive from Grand Rapids (where I live) and is a nice Summer town with a cute shopping area downtown and lots of great restaurants. 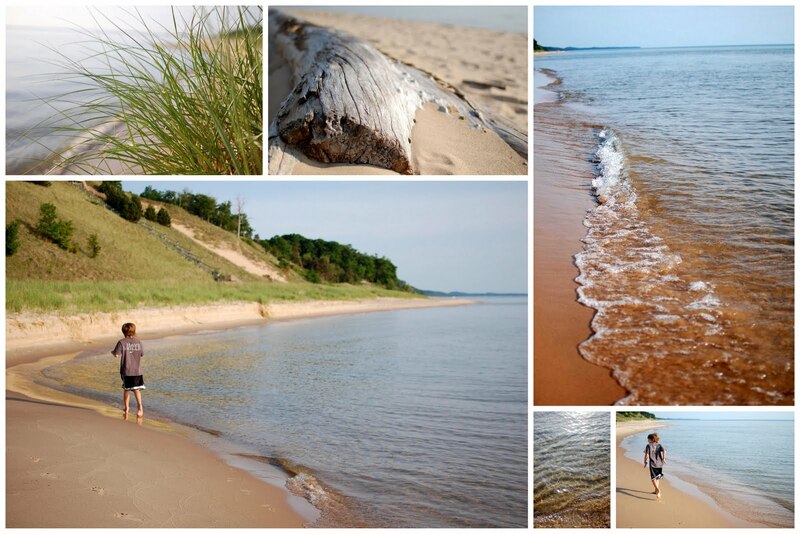 If you've never been to Lake Michigan, it's like an ocean, it's huge! 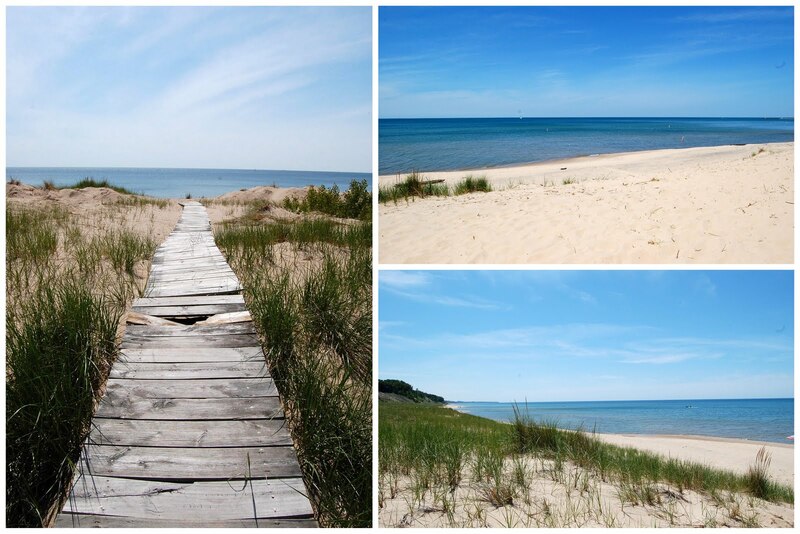 Lake Michigan is 307 miles long and 118 miles wide. Around here a popular slogan in the beach towns is "Lake Michigan: Unsalted". And that's exactly what it's like. The first day of vacation was cold. World's Cutest Brother didn't seem to mind though and the lake was still beautiful. Our cousin and her two little girls came up to visit us one day. It was a cold, rainy day but we still had fun. From our cottage we could walk up to the pier in Holland. 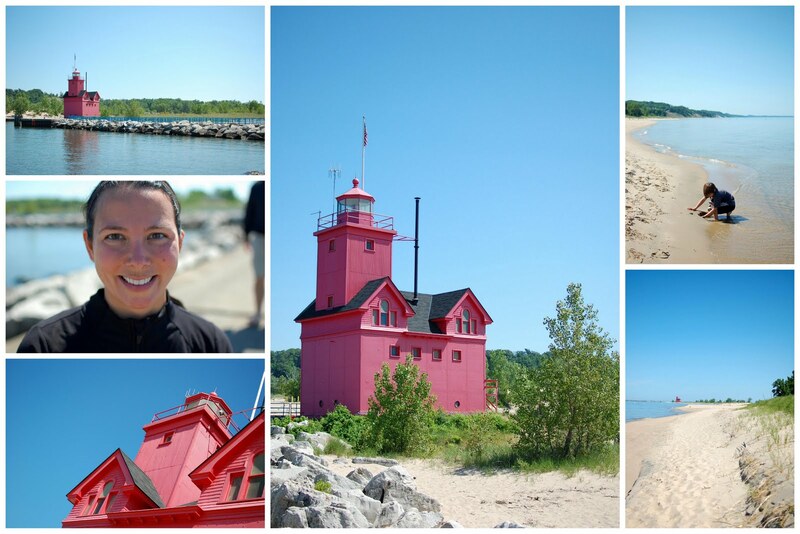 The light house is known as "Big Red". If we went the other way from our cottage on the beach, we could walk for miles! Nothing but beautiful beaches. Most days we spent on the beach just relaxing and playing in the sand. 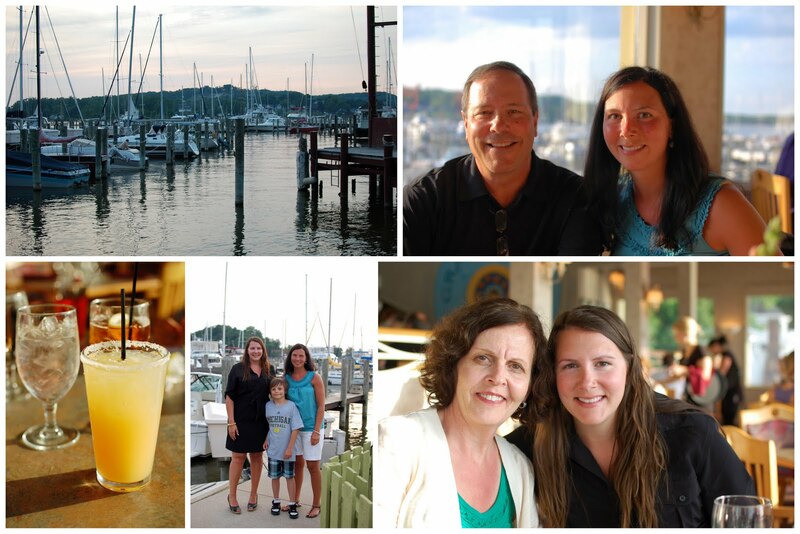 We had some nice dinners in both Holland and Saugatuck (another beach town about 15 minutes South of Holland). On our last night we ate dinner at the Piper. We all enjoyed our meals and the pretty water views. It was another great vacation! I had no idea you lived in Michigan! I'm about an hour south of GR. I love Holland. We spend a lot of our summer time there. The state park is a great place to hang out and that light house is so unique. My family just went on a little mini vacation to Grand Rapids and Holland a couple of weeks ago. 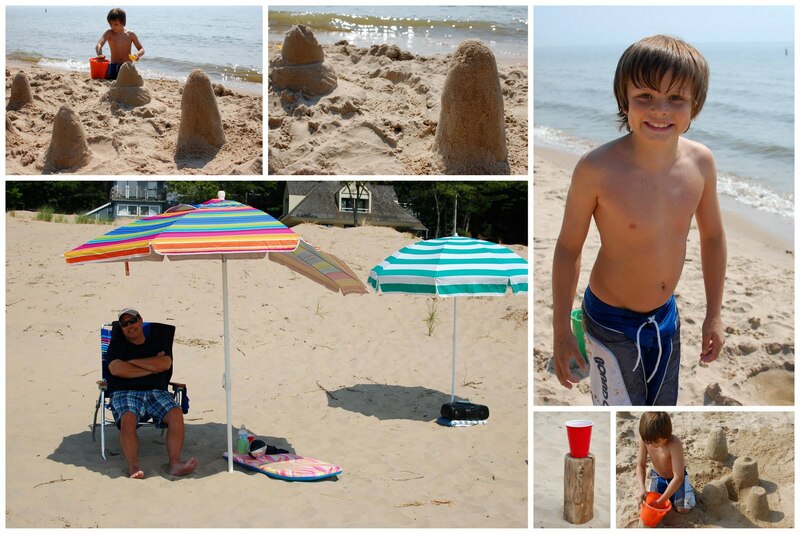 We visited the Frederick Meijer Sculputer Gardens and spent some time at the beaches in Holland. Have you ever eaten at the Electric Cheetah? It was very good! I'm getting ready to head up to Michigan for a week on Saturday. I'll be on the shores of Lake Superior, though. Can't wait to see home again, although it will be bittersweet because we're selling our family home (my mom moved in to a senior apt. in December). Great pics! Thanks for sharing. Yes - miles not feet!!! You good little Michigan ambassador, you! Thanks for the reminder although I did drive from mid-state to grand haven for lunch last week. I'm definitely renting a cottage.thanks for the push! oh... love, love, love, michigan and the lake. one of the most beautiful places on the earth. Have you seen Holland in the spring with all the tulips?! so pretty. Beautiful photos, Alissa. That lighthouse is amazing... gorgeous! Loved this post, I miss Michigan so much! 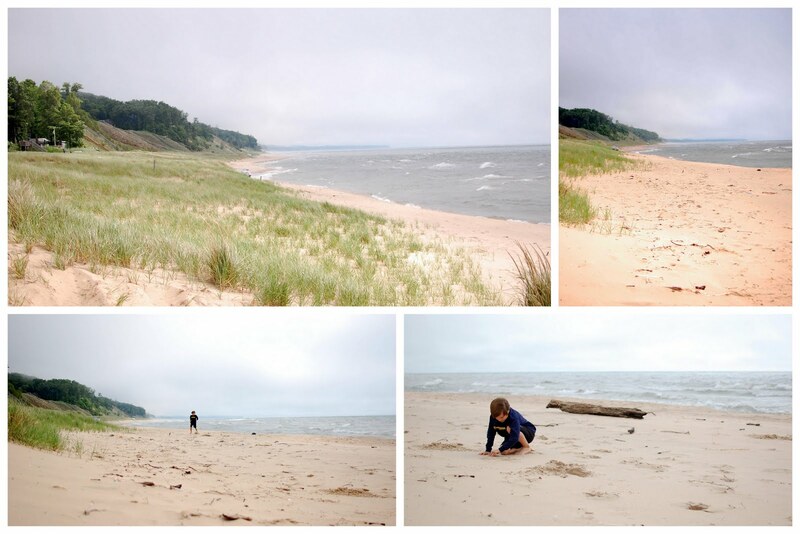 I also love that you called out that Lake MI is like an ocean, I hate it when I tell people here in MN that I miss Lake MI and they say well there are tons of lakes here... ummmm sooooo not the same! Pipe is awesome! Totally random, but I went there for dinner for my junior prom :) ha! 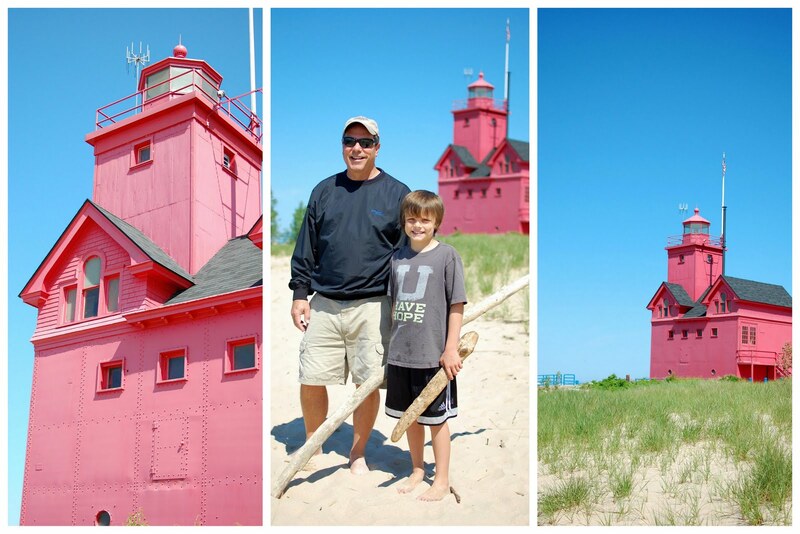 Looks like a lovely time and glad you showed the blog world how lovely Pure Michigan is! I think we need to add Michigan to our list of future vacation spots. What beautiful scenery!! It looks like you had a lovely time. We used VRBO for our condo in Frisco, CO. We loved our adorable little condo and it ended up being less expensive than staying in a hotel. Can't beat that! Looks like you guys had an amazing time! I am so jealous that you can drive there so easily. A forty minute drive here gets you to...well some cornfields I guess. Looks like you had a fabulous time! Didn't know the lake looked so "oceany"! Wow, Alissa! what a beautiful state you live in. i had no idea Michigan was so gorgeous. i think i need to plan a trip there. thanks for sharing your pictures.